Molds are microscopic fungi that when growing up small spherical particles produce (spores) they are dispersed in the air primarily in summer and autumn. The majority grows in conditions of temperatures between 10 and 35° C, but the water content is the critical factor for growth. Indoor environments develop mainly on wet walls and floors, on wallpapers, in the mattress, in sofas and upholstery, in air conditioning systems, in humidifiers, that is, in all those environments where you create high humidity. 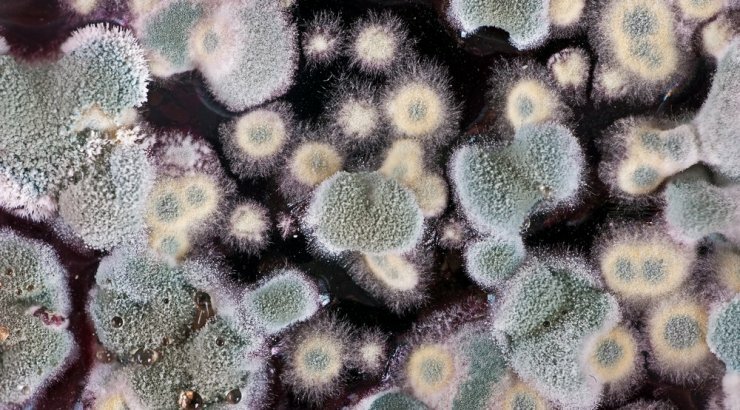 There are no values nor formulas to denote the normal level of mould in the indoor environment (other than those inherent in some work environments), as this depends on the characteristics of each building, from cleaning, from filters to purify the air by the climate and the seasons. The who has recently published guidelines for indoor air quality in relation to moisture and mold [ Who, 2009]. Respiratory allergies affect health effects and some allergic dermatitis. The spores and the filaments produced by molds can cause rhinitis and asthma. The main measures are the control of temperature and relative humidity and periodic cleaning.